We’re currently having a storm in the northwest. We’ve got a lot of flashlights and candles about. It makes me think how luck we are in the West, and how tough world we live in. Fear, as I covered in my first Sway presentation, is not conducive to goal creation or the pursuit of dreams. Getting your dreams accomplished isn’t super high on the list when you’re existentially afraid for your country, your kids, yourself. These trying times take us down Maslow’s Hierarchy, and it is well known that we make poor decisions when operating in a place of fear. Should we pursue our dreams when faced with such a world? 1. Openness to Reality – Don’t shy away from the news, but don’t obsess either. My family doesn’t watch TV much and this includes the news. News, if you haven’t seen it recently, is like a horrible Facebook feed. Bad news story after bad news story, then a completely awkward switch to the sports and weather. 2. We aren’t there yet – Humanity is in the early birth pangs of modern global civilization You might think the Internet a crowded place, but billions of people are yet to even get on it. Think about just a 100 years ago – 1916. People were taking horses around. 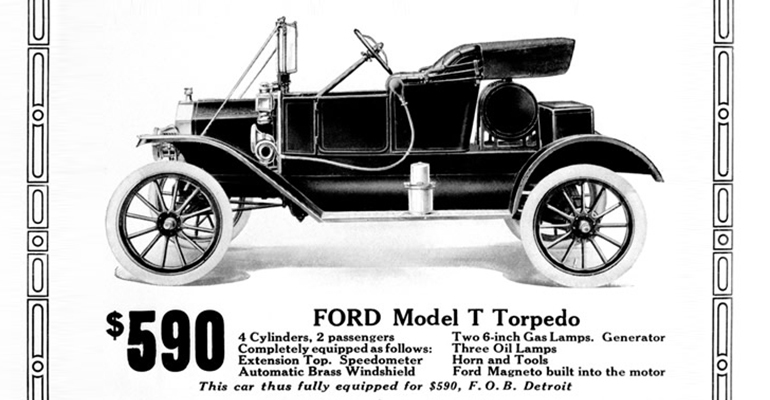 The car was known as the horseless carriage. This is what we were driving. Oil lamps included! 3. Hate simply cannot win. Hate eventually eats itself. There’s not enough fuel to feed the fire of hate, since eventually humans realize that the people they’re fighting, the people they feel free to kill, are just like them. That God does not want them to kill. That we are all in this together, that we love our children, that we want a better life for them, and that we all have the same dreams and desires. No matter how dark it gets I think about the greatness of men like MLK who saw through so much hate and retained their hope for humanity. We have come so far in 100 years, 200 years….lets acknowledge that love does indeed win. So, take here’s an action – take a picture of something that makes you happy, even if it is from Pokemon Go. Draw something, write something, anything that brings light and love. Got a picture of your new puppy – post it! Wrote a great blog post? Share that sucker. Bring light into your world! I hope this article will help you find your serenity in the storm, enough to carry on to live your best life.